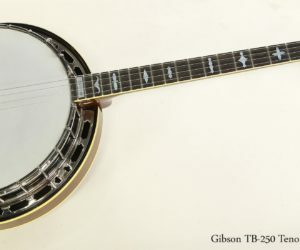 For quite some time, Gibson banjos were standard professional grade instruments, and the Gibson TB-250 was their ‘entry level’ tenor banjo. 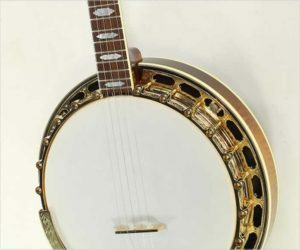 From 1966 it was available as a MasterTone model with that tone ring. This model was built from 1954 to 1996.